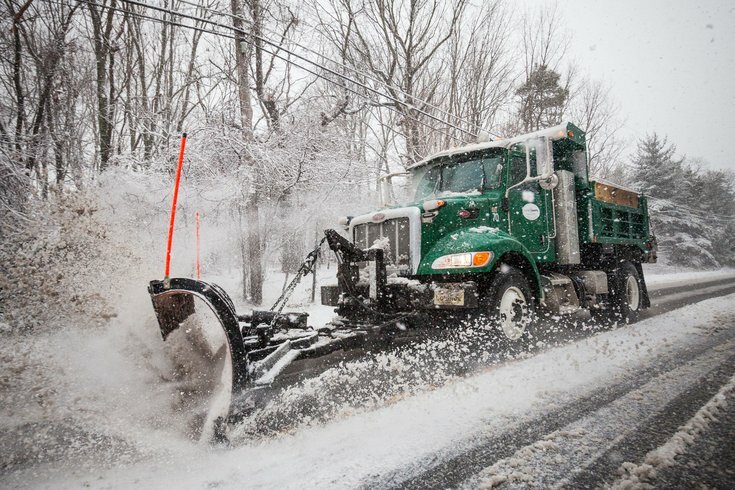 Kurt Cunane of the Camden County Department of Public Works plows snow on Thursday, March 5, 2015. Foresight and prevention are among the most important tools states have to mitigate the effects of weather emergencies. They're not quite as useful when the emergency is imaginary. Meteorologists in New Jersey are are none too pleased with the state department of transportation's over-aggressive practice of treating roadways for storms that aren't coming. Veteran meteorologist Gary Szatkowski, formerly of the National Weather Service, took the DOT to task Wednesday morning for brining roadways without a pressing need. Fellow meteorologist Dan Zarrow similarly fumed over the state's alarmist messaging. The criticism comes just two weeks after Gov. Phil Murphy deflected criticism for the state's response to a November storm that overwhelmed many parts of New Jersey. In that case, the forecasters were given a side-eye for allegedly whiffing on the severity of the storm. There appears to be an over-correction going on since then. A DOT spokesperson told NJ Advance Media the brining was done in preparation for light Wednesday morning snow in several counties in central and northern New Jersey. Szatkowski responded to several follow-up tweets addressing his criticism. I'll take a break from throwing shade, and just ask if anyone is seeing snow anywhere in New Jersey. I know the Poconos saw a little action. Zarrow later provided some information on changes coming to the New Jersey Turnpike Authority's forecasting services. He mused about whether an open records request would grant him access to the decision-making behind the recent road treatment plan. Thanks to research assistance from @wxwitten at @WeatherWorks, I found some info about the @NJTurnpike Authority's weather services. I haven't been able to find similar RFPs or contracts for the @NJDOT_info state road system. Who said the preseason doesn't matter?